Junior VT Block for the Junior Gymnast. 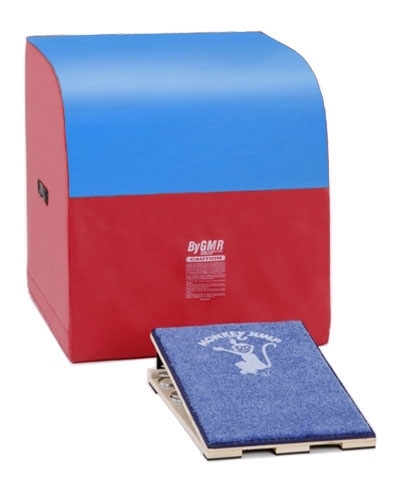 The Junior VT Block Gymnastics mat is 36"x36"x36" It is an ideal way to introduce the vault table to the younger gymnast.The VT Block is made of high density polyurethane foam and covered in 18oz coated fabric. 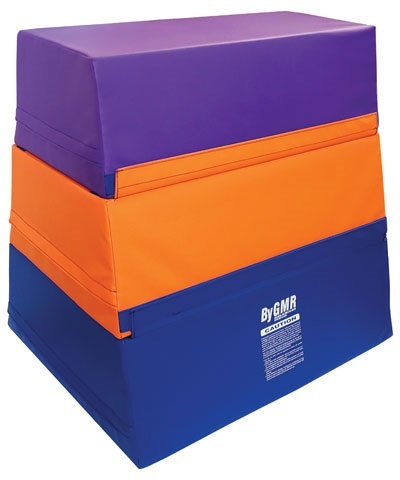 The top is covered in blue non-slip 18oz coated vinyl. All sections will secure with hook and loop fasteners and will connect to the vault runway or carpet bonded foam. Please use the quote button to request shipping charges. Minimum shipping charges for this mat could be the same as shipping for 2, 3 or 4 mats, so please consider some of the other preschool and training mats.